Opened in 2009, Flamingo Hotel By The Beach, Penang celebrates its 10th anniversary this year. 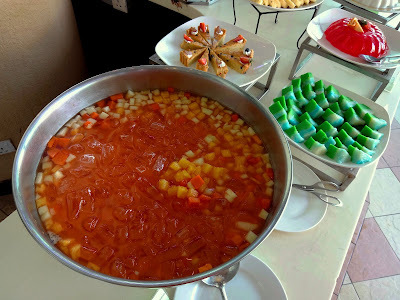 In conjunction with this auspicious milestone, the hotel is offering "Buy 1 Free 1" for its Sunday Buffet Lunch. 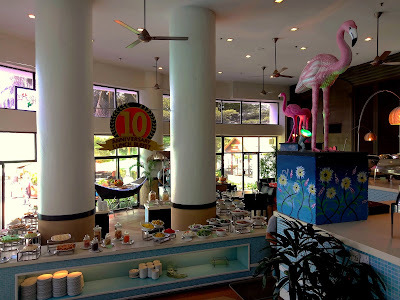 The buffet is served at Flamingo Café. 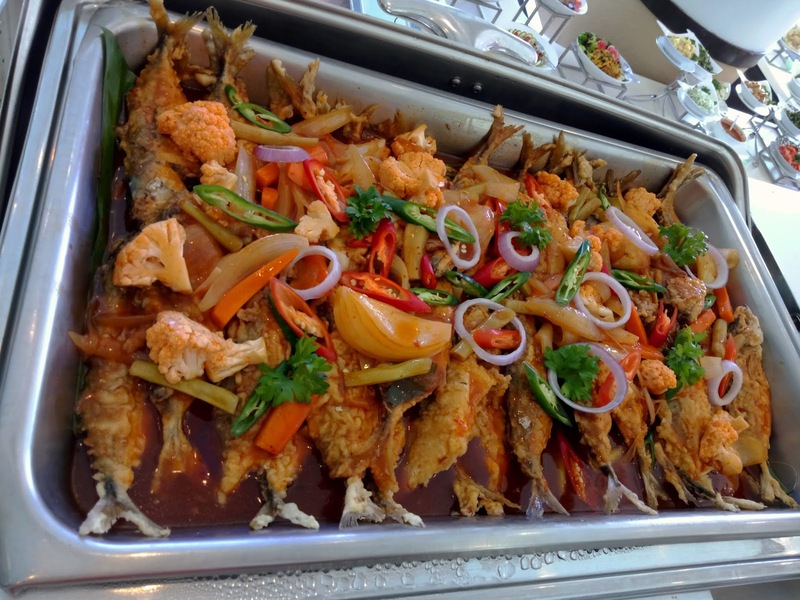 Starting with a Malay dish, Mackerel Fish Paprik is fried with a coating of batter. Known locally as "ikan kembung", the fish are then served with spicy sauce. This dish is garnished with cauliflowers, carrots, onions and chili peppers too. 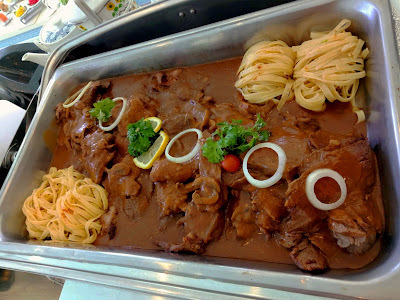 As for Western cooking, American Roasted Blackened Beef is served with mustard herb sauce. There is also homemade fettuccine on the side. The pasta serves as counterbalance to the beef and savory sauce. 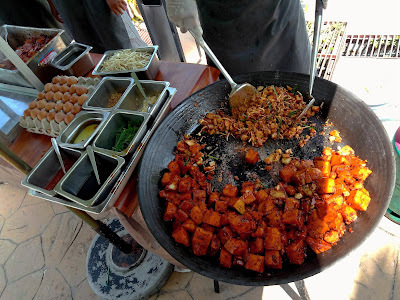 Diners should also check out the Sweet & Sour Vegetarian Eggs. In this Chinese-style dish, bite-size chunks of mock meat are cooked with bell peppers, cucumbers and pineapples. I enjoy the chewy texture of mock meat. 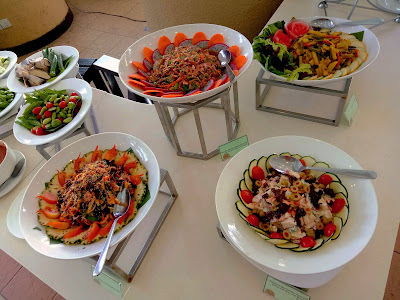 Next, the salad bar provides a variety of salad mixes such as Acar Rampai, Nyonya Black Fungus Kerabu, Thai Spicy Roasted Eggplant Salad, Roasted Cajun Chicken Salad and Gado-Gado. 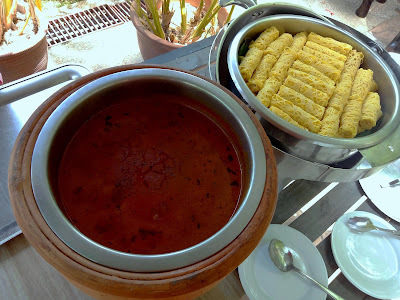 Also included are ulam-ulaman (raw vegetables) to go with sambal belacan (spicy shrimp paste). There are several action counters next to the swimming pool. 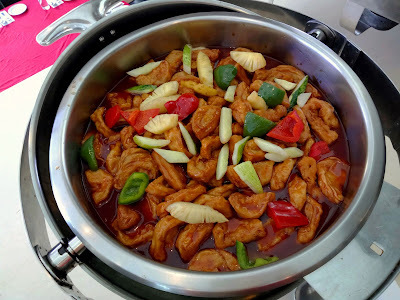 One of the most popular dishes here is Penang Fried Koay Kak (炒粿角). To prepare this local street food, radish cake is fried with preserved radish (菜圃), bean sprouts, eggs, garlic chives, chili paste, garlic and soy sauce. Another crowd favorite is Roti Tissue. The crispy flatbread is folded into a cone and drizzled with sweetened condensed milk. 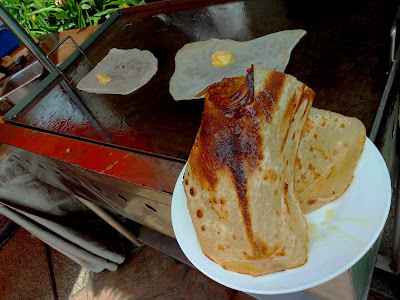 The same stall also prepares Roti Canai, Roti Boom and Murtabak. Dal (lentil stew) serves as the condiment. Preparing Roti Jala requires a special cup with holes at the bottom. Batter is drizzled onto the griddle so that it forms a web-like pattern. Once cooked, Roti Jala is optionally rolled with a sausage. This snack is best enjoyed with chicken-and-potato curry. It is difficult to resist the temptation of Ais Kerim Goyang. The popsicles are prepared in a spectacular way: using a special machine filled with ice. The machine is shaken back and forth so that syrup freezes quickly. Three flavors are available today: grape, sirap bandung and corn. 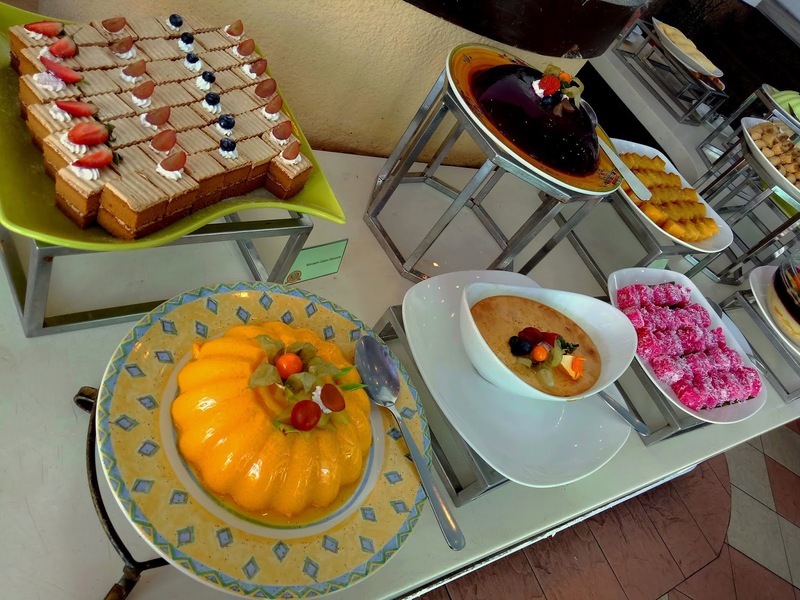 Moving on, the pastry section presents a variety of sweet confections including French pastries, puddings, mousses, fruit jellies and Malay kuih. My personal favorite is the Mango Pudding. 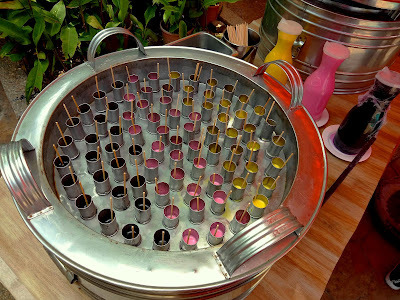 Towards the end of the meal, diners may cleanse their palates with Fruit Cocktail. Cendol is another refreshing choice especially during a hot day. 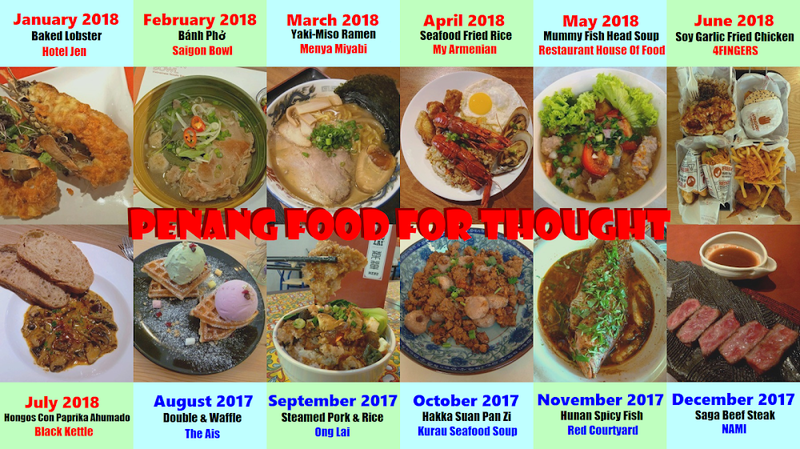 Meanwhile, diners who prefer warm desserts can help themselves with Bubur Pengat Pisang, See Kor Th'ng (四果汤), Barley Bean Curd (腐竹薏米) or Pumpkin Sago Broth (金瓜西米露). To commemorate Flamingo Hotel's 10th anniversary, the hotel is offering Sunset Breeze (RM15.00) for a limited time. This chilled drink is blended from apples, pineapples and watermelon. 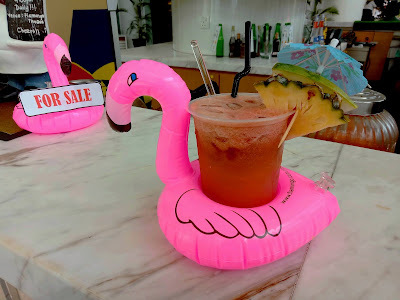 Sunset Breeze is available at Flamingo Café, Flamingo Theque and Beach Bar. It comes with a limited edition pink flamingo cup holder. 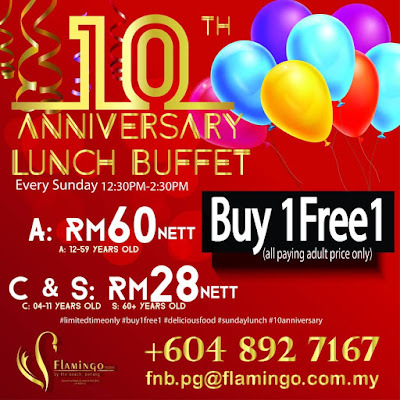 Flamingo Hotel's 10th anniversary Sunday Buffet Lunch is served from 12:30pm to 2:30pm every Sunday. The meal is priced at RM60.00 per adult and RM28.00 per child or senior citizen. 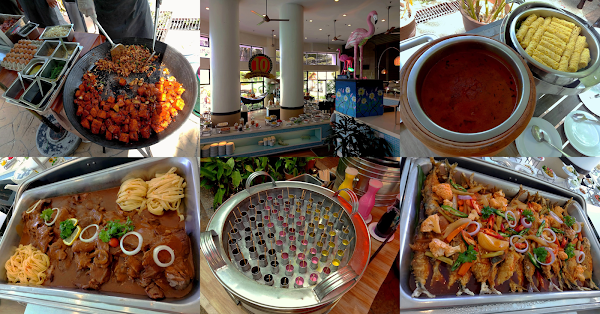 With the "Buy 1 Free 1" promotion, a satisfying meal effectively only costs RM30.00 per adult! 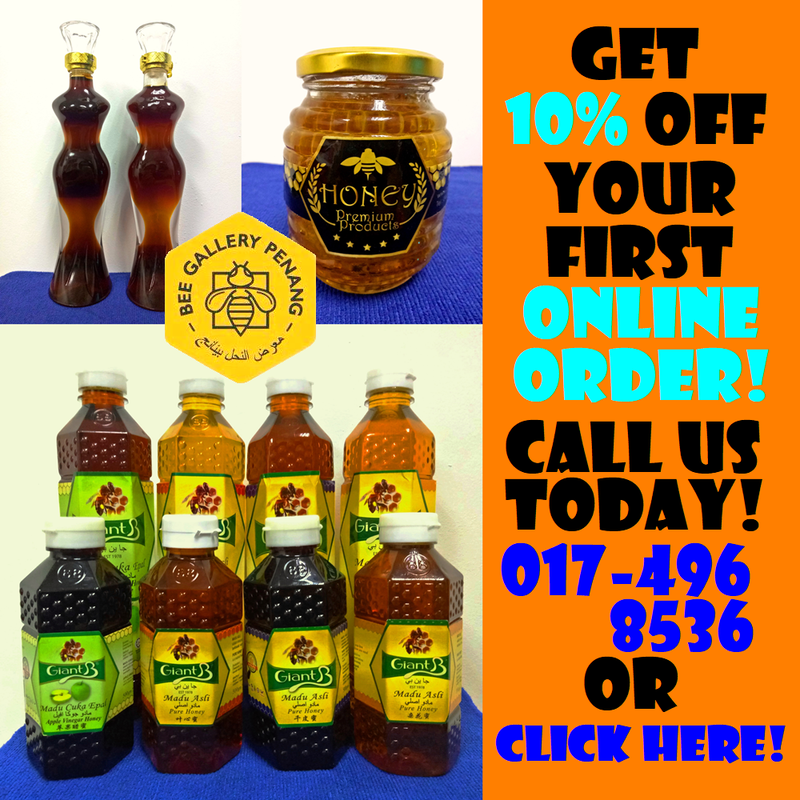 However, do hurry as this offer is just available for a limited time.